The Healer’s Hand, also known as the Shaman’s Hand, is an ancient symbol of healing and protection. 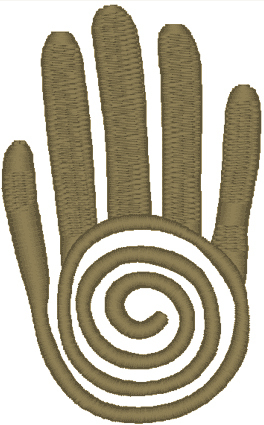 The image consists of a hand with a spiral palm and it is believed to have come from the Native American solar hieroglyphs that have been found in a number of places in the south-western part of the United States. The spiral is a universally accepted symbol of eternity and in some traditions, it also symbolizes the deity or the Spirit. When the solar spiral is used to the make the shape of a hand, the resulting figure is believed to be infused with therapeutic energy. Therefore, the Healer’s Hand is considered to be representative of the curative powers of a Shaman. In the modern times, the Healer’s Hand has come to be associated with new age spiritual healing practices such as Reiki. Reiki involves healing people at physical, emotional and spiritual levels by manipulating and guiding life-force energy through symbols. 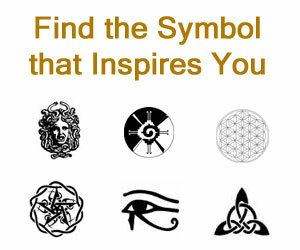 These symbols are created by the Reiki practitioner by moving his/her hands over the client’s body in specified patterns. The Healer’s Hand is seen as a symbol of a Reiki healer’s energy-emitting hand, and so, is also referred to as the Reiki Hand. The Healer’s Hand makes a very popular talisman and is often worn by believers to attract good health, good luck, happiness and wealth.